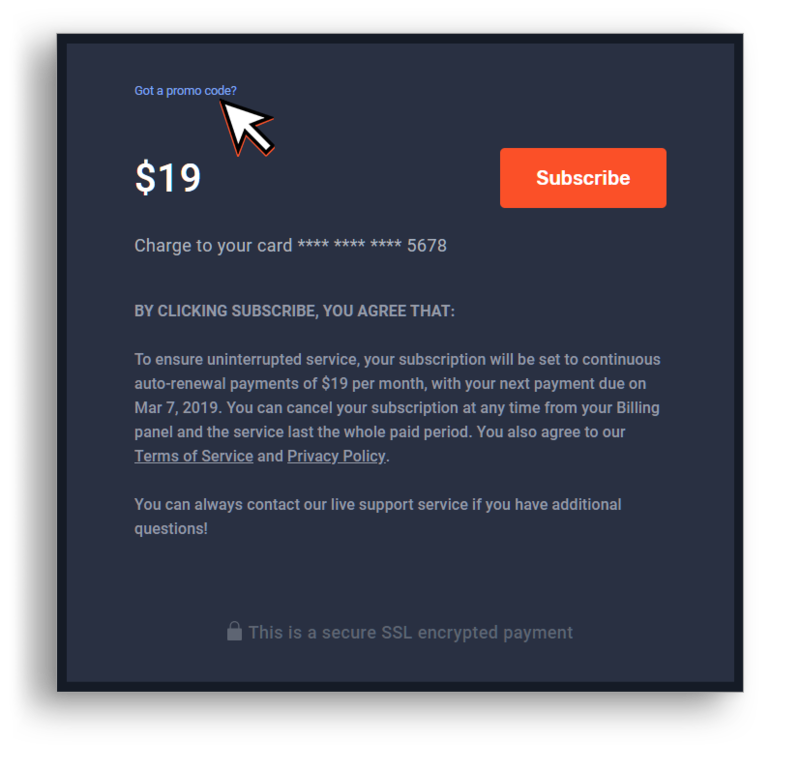 In this small guide, we will explain how to use a Promo code if you have one. It's an upper case symbol combination (A-Z 1-9) which will allow getting a discount on the purchase of any of our services excluding transcoding. Important Note: Any promotional purchases apply only for the first (initial) payment. That means it is better to choose "Pay Annually" which will allow you to apply the discount for the whole year, not only for 1 month! From our official influencers (watching their streams and social media). A few more secret ways (if you are attentive enough). 1. On the checkout page, you need to choose among service available options. 2. 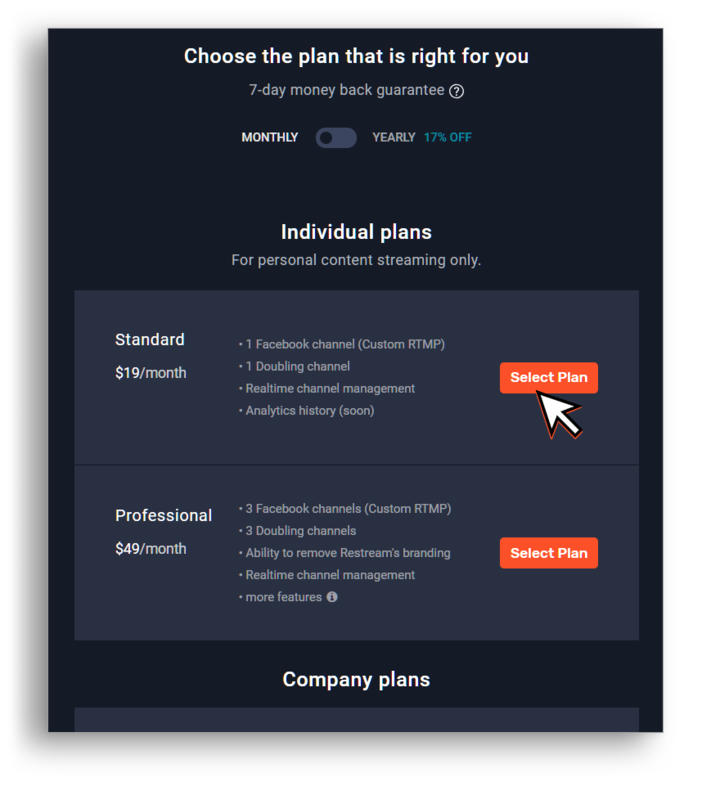 After you have clicked "Select Plan" click on "Got a promo code?" button. 3. 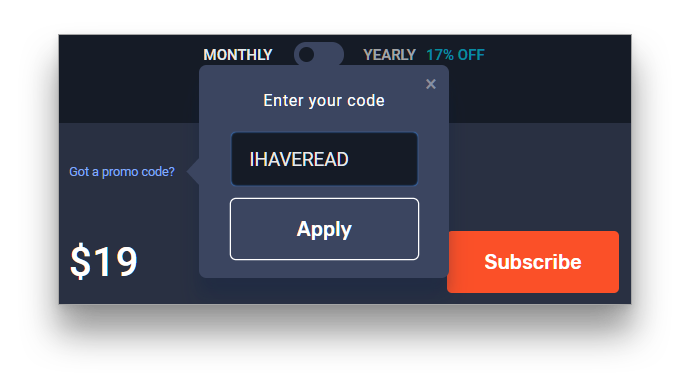 Enter a promo code inside the field and click "apply"
4. After promo code is accepted you can see everything is calculated to a new value depending on the discount that certain promo code can provide. 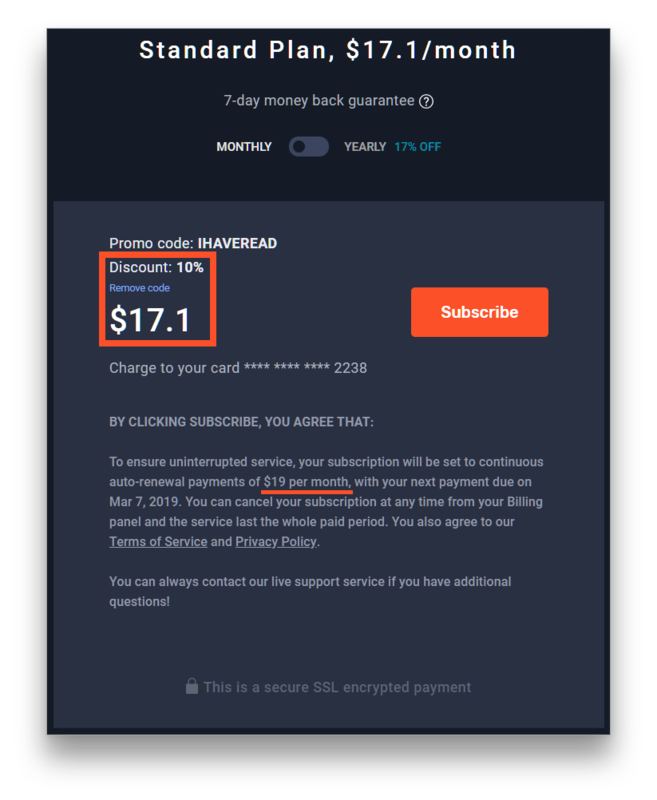 You are able to remove a promo code clicking on "Remove code"
Tip: Promo code discounts stacks with the yearly natural discount which makes annual purchases even better! 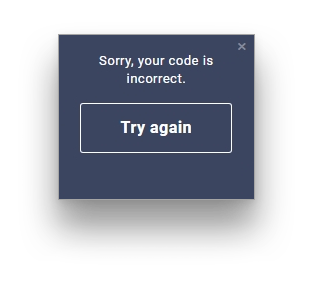 If you get an error message that means that you made a mistake or your promo code is not valid anymore. There is not much more about promo codes, it is just simple as that.